If you have two or more public folders databases in Exchange 2010 servers then you probably think that you have HA for public folders. All of your public folders are replicated between those public folders databases and you think that when you will lost one server with PF database then you have another one and you wll have no problem with public folders. If you think that then you are wrong ! 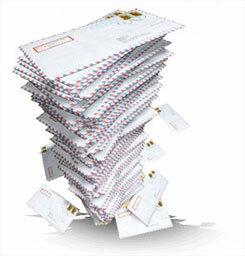 In mailbox database you can specify public folder database for this mailbox database. But if you shutdown one Exchange 2010 server with Public Folders database like your default server with PF’s then you will see that messages sent to mail enabled public folders stuck at the delivery queue on each Hub Transport server. When you check this queue you will see that all of those messages are trying to get to public folder database on shutdown server, they are not redirected to available public folders database on another server. So how to resolve this problem ? First Microsoft recommend to install at least RU4 for Exchange 2010 SP2. But this won’t help to resolve this problem. You need to do something more. Now save and restart Exchange Transport Service. You need to do this on each Exchange 2010 Hub Transport server. Now you will get fully redundant environment with Public Folders. If one server with public folders database is missing then message are routed to another server with public folders database. If this server will be missing for long time then remember to change default Public Folder database in mailbox database settings. Tagged Exchange 2010, Microsoft Exchange 2010, Public Folders. Bookmark the permalink.